Openhole formation evaluation data are essential inputs to engineer better completions. 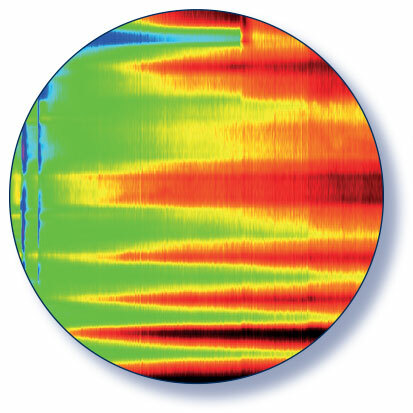 The Logging-While-Tripping (LWT†) tool, an innovative logging technique, enables efficient acquisition, in a horizontal lateral, of gamma ray, spectral gamma ray, compensated neutron, compensated formation density and dual induction data. This information is recorded during normal drilling operations with virtually no additional rig time. Drilling data (WOB, RPM, ROP, torque and MWD/GR) and mud logging data can be integrated with LWT data to enhance the analysis. ZoneGrader† analysis of the well data is used to evaluate the optimal placement of perforation clusters. This unique answer product grades the formation along the wellbore based on geomechanical and producibility formation characteristics. Geomechanical rock properties include stress, brittleness and lithology. Producibility properties include lithology, total organic carbon (TOC), porosity, permeability and saturation. 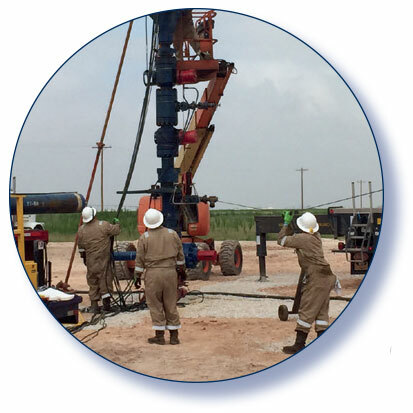 With the wellbore graded by geomechanical and producibility properties, the number and position of stages can be determined and perforation clusters precisely placed. Perforation geometry is a key element of designing an optimal completion. Not only should perforation clusters be tactically positioned along the lateral, but shaped charge selection based on perforating geometry should be considered to properly treat the well per the design. 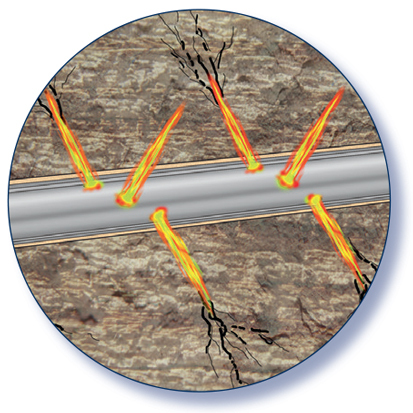 Consistent perforation entrance hole (EH) diameters are a vital component of optimizing fracturing efficiency. Perforating EH diameters must be large enough to prevent proppant bridging and consistent in size for accurate limited-entry designs. With conventional 60-degree systems, a 40% variation in EH can result in a 120% increase in pressure drop. By utilizing consistent entrance hole charges, completion engineers benefit from perforation clusters accepting treatment fluid according to the design because a greater number of holes are open, providing a consistent pressure drop across all perforations. Enhanced liner perforating charges provide increased perforation tunnel diameters to the formation, which reduce breakdown and treating pressures (less horsepower required and thus cost) and improve access to the formation via tip fractures. An ultra-efficient plug-and-play gun system is used to ensure the safest, most efficient completion time possible. The system uses state-of-the-art, inherently safe switches to eliminate the risk of surface detonation and to enable gun skipping downhole in the unlikely event of a misfire. Unlike conventional gun systems that require up to 100 manual connections to arm the guns, there are no wires, so field assembly times are much faster and the chance of human error is significantly reduced. RigLock equipment makes rigging up and down more efficient while adding unmatched safety measures to protect wellsite teams from injury. Run-in-hole safety is optimized using modeling software that indicates when downhole tension and release tools are required to reduce risk. Each component of the system is chosen to achieve the safest, most reliable, fastest plug-n-perf operation. After flowback, Diagnostix* fiber optic monitoring services can be efficiently deployed to record distributed temperature (DTS) and acoustic (DAS) surveys. Unlike traditional production logs, the entire wellbore can be simultaneously surveyed in real time to detect and monitor contribution of each perforation cluster. Results of the production profiling are used to optimize future stimulation programs and to consider the potential benefits of refrac programs. © 2019 GR Energy Services. All rights reserved.